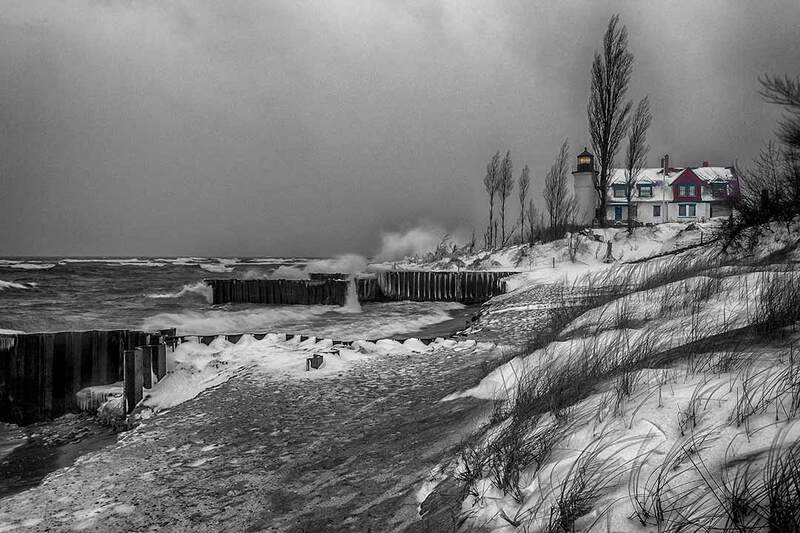 These shots at Point Betsie Lighthouse was taken on Wednesday, March 20, 2013 just after ‘sunrise’. It was a pretty stormy day and sometimes that’s when the voices tell me to go check out the lighthouse. The first shot is on the south side looking north which is always the tough shot with a north wind blowing spray into my lens. After getting this shot I walked around to the north side to set up looking south. A bit less spray on the lens glass but wetter overall because of the heavier wind at this vantage point. 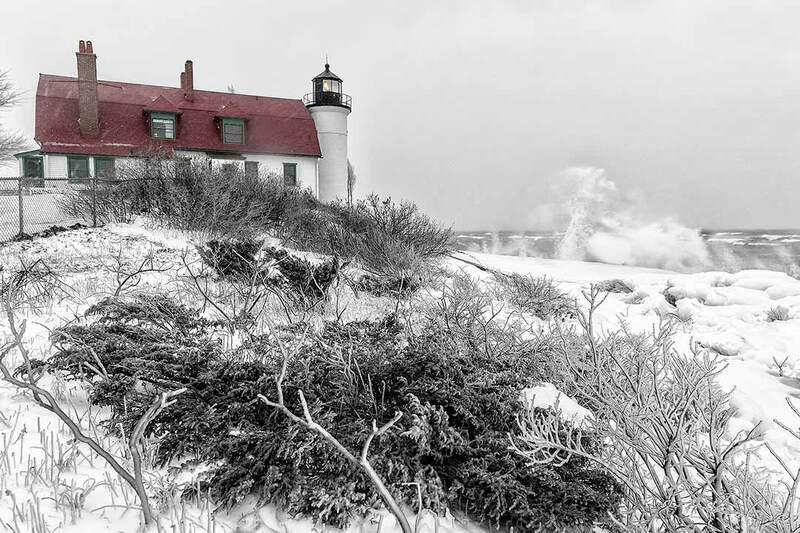 I got soaked a couple of times with big waves punching up on the breakwall and I left after my camera was coated with ice. Both shots were converted with Nik Silver Efx Pro and color brought back into the image with a layer mask in CS6.